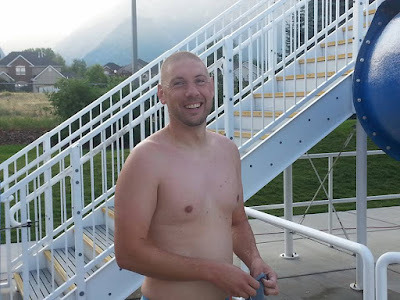 Last Friday I met Chad at Alta Canyon to time him on his USMS 5K postal swim. 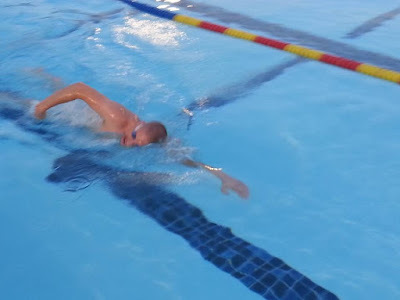 He returned the favor this morning and met me at the pool to time my swim. I really wanted to get under 1:20 this year, but wasn't sure if I would be able to. I got sick a few weeks ago and haven't spent as much time in the pool as I usually do. I ate a nutrition bar and drank some Gatorade on the way to the pool. I had also packed a Buzz Bite, but forgot about it by the time I got there and didn't eat it. I don't know that it would have made a noticeable difference. I got in the pool as soon as the guard sat down on her chair. 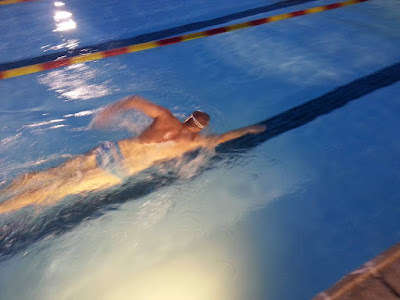 One of these times when I do a postal swim, I'm going to plan ahead and warm up before I start. Chad and I both had to get to work this morning, so I started without a warm up. My plan was to try to swim at a consistent pace for the first 3,000 meters and then pick it up on the last 2,000. I felt like I was holding a decent pace through the first half. At about 2,500 meters, I found myself wanting to push it harder, but I decided to stick tot he plan and wait until I got to 3,000 meters. In retrospect, I should have just gone for it. At 3,000 meters I started to pick up the pace a little bit. and at 4,000 I picked it up again. For the last 500 meters, I wanted to negative split each 100. One my last 50 I saw Chad walking down the deck telling me to pick it up. Earlier I thought I had lost count and might have been off by 100 meters. I was dreading finishing and having Chad tell me that I had another 100 to swim. Turns out my count was right. I finished and Chad gave me his report. I ended up at 1:21:36.53, which was just short of my goal of 1:20. Oh well, it was pretty close. I think if I had warmed up and had listened to my body at 2,500 meters and started pushing it, I could have made it. Next year I'd love to get my time down under 1:20. 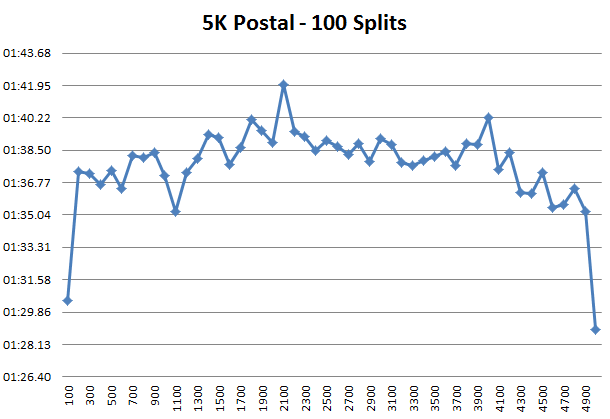 What this tells me is that I should have pushed my pace harder on the first 3,000 meters. I had way too much left in the tank at the finish. What's interesting is that my slowest 100M split was at 2,100 yards, which is exactly where I had my slowest split last year. My average pace was 1:37.93. I'll need to get that down to 1:36 per 100M to break 1:20 next year. I think that's totally doable.